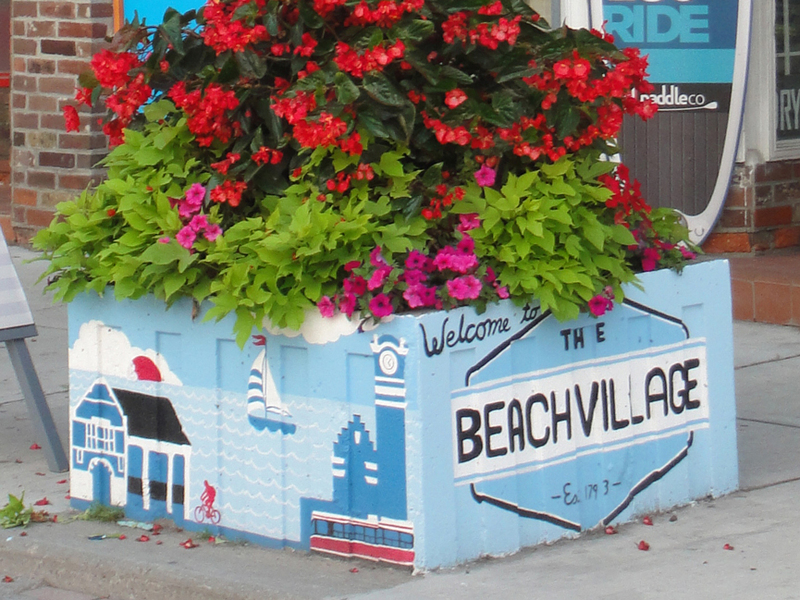 My years with the Beach Village BIA (2010-2016) were my first foray into volunteering, lobbying, and advocacy, and my first time on a board of directors. The board has changed over the years, but regardless of the board’s membership I was frequently the sole voice of opposition to many ill-considered policies and plans, and found myself often discriminated against because I was the young guy who didn’t actually own a business on Queen. Which was actually my strength, as being in my 30s I represented our main demographic of shoppers (most board members had 20+ years on me), and not owning a business (and not having my livelihood on the line) my perspective was much more macro and saw the entire strip as a whole (unlike a few myopic board members who could only see through the lens of their own business). However, over time I earned more respect and my ideas FINALLY started to take hold. It culminated with my becoming chair of the streescaping committee where I brought back our hanging baskets of flowers, brought Christmas decor to a new level, and started the painting of the tree planters, many of which are my designs. 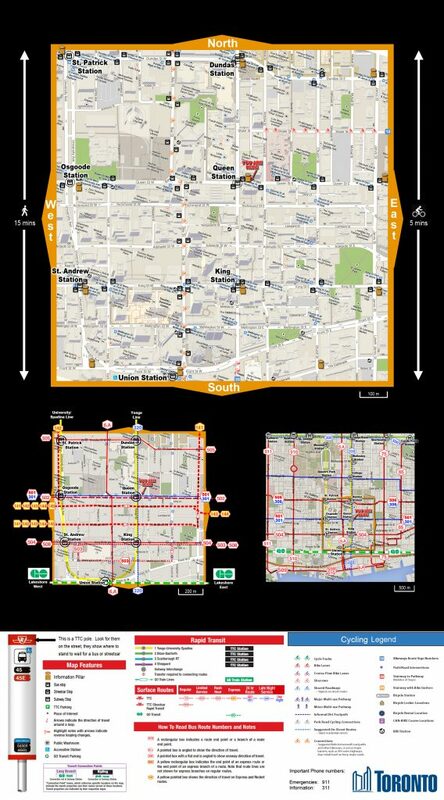 My first obsession upon joining the board in 2010 was with wayfinding and business directories. I was always devising ways to get all our businesses displayed on a map that also included landmarks and other points of interest for visitors. It started with lobbying to replace our incredibly aging and decrepit (and now defunct) Discovery Walk signs (at one point I wanted to simply cover them over with our own design as they were so ugly and worn down). As I got deeper involved eventually the 360 project came to light and I was at most of the stakeholder meetings. After one meeting I even mocked up and submitted wayfinder designs that gave more focus to transit routes, just for extra ideas on how to display as much transit info for users as possible. Until of course this year, the most crucial for our area as the program is finally being rolled out. As a brief context, this year my firstborn turned 1, my family moved houses, and then I ran for city council. Suffice to say I’ve had little time and 360 slipped through the cracks of my busy schedule. Then I went to the BIA streetscaping meeting last night to find out 360 is coming soon! Which pleased me very much, LONG overdue. 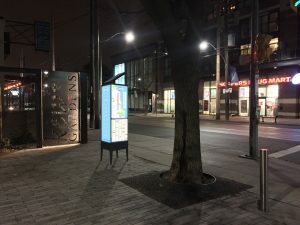 Before I knew the BIA was working with 360 I was under the false impression they were finally going to create some of their own wayfinders (something I had been exploring in my last months of being chair of streetscaping). I mocked up some designs, but more importantly, in doing so I also created a full business directory with map that also includes points of interest and landmarks, and all in a 16″ x 48″ image. 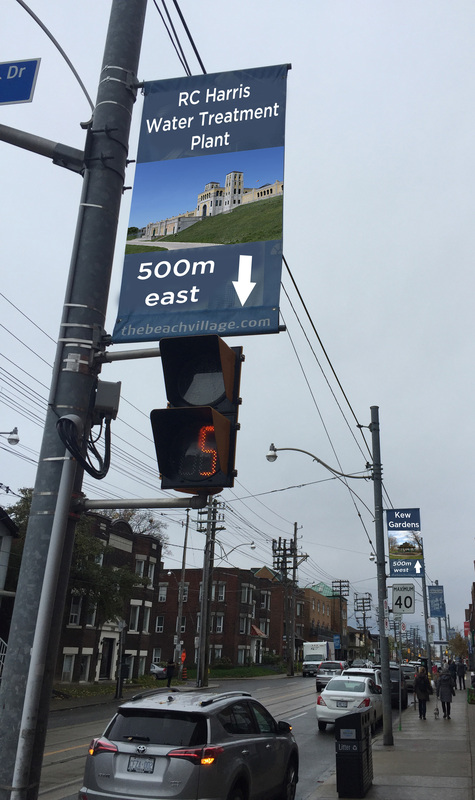 Another idea I floated to the BIA was the opportunity to use our banners as either wayfinding, or to put local artists’ work on them, but I had left by the time the new banners came and did not have any input. A missed opportunity for the BIA, as while campaigning I discovered the current banners are of such little impact most people don’t even realize they are there. 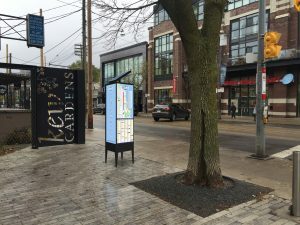 1) Lee Avenue is no longer a good location for a totem since the streetcar stop moved, now it’s just a corner like any other. 2) Move the totem from Lee Ave to Wineva. 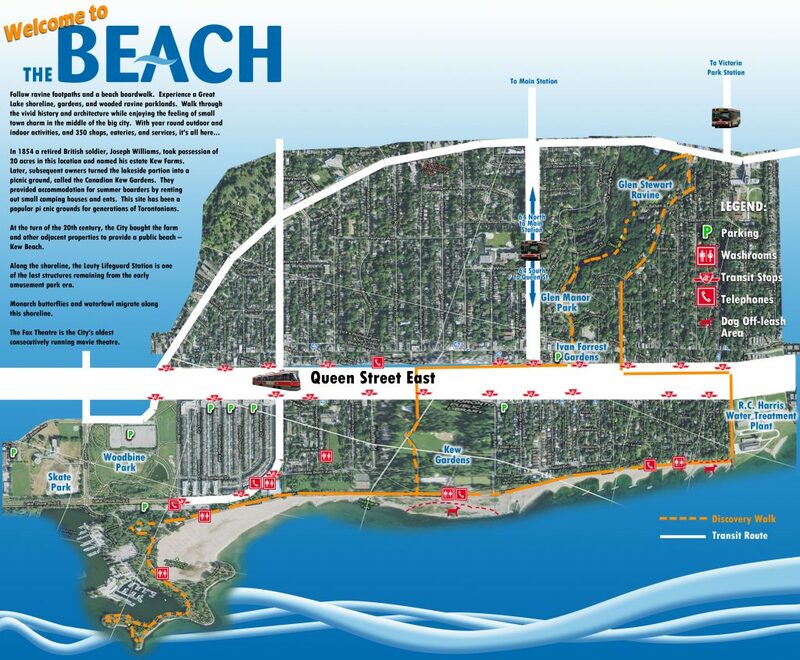 First and foremost, this is where the 64 bus route ends, it’s one of the transit gateways to the Beach. You don’t want people getting off the the last stop of the bus and then have no idea where to turn. A totem is crucial at this intersection, and it’s perfect as the intersection is slated for a curb bumpout which has the potential to hold the totem. Also, at Lee it was too close to the one at Bellefair and too far from the one at Glen Manor, this spreads them out nicely. 3) It’s hard to tell from the map what corner many of these totems are planned for, but this one should be well displayed in front of Ivan Forrest Gardens. 4) Again, hard to tell where it’s planned, but I’m sure it goes without saying the northeast corner of Beech and Queen is best. 6) The totem at Munro Park should be at Neville Park, it’s the end of the streetcar line and is the eastern gateway into the Beach. The perfect spot (attached photo) is right by the new Bike Share station so it can integrate with both cycling and transit routes and is highly visible to pedestrians, cyclists, transit riders, and even cars entering from the east. And it is things like cycling routes, bike share stations, and transit routes and stops I want to ensure are on the totems (I’m also a local transportation expert, having run the Ward 32 Transportation Committee for 8 years). I don’t know why there wasn’t more fulsome local consultation on the wayfinders, maybe there wasn’t time or maybe there was an assumption the BIA’s input would suffice, but I want to ensure this opportunity isn’t squandered. I invite everyone to contact the BIA and the 360 project to ask for more public consultation to ensure our area is being captured properly.